She was born in Dayton, Ohio and has been a true fan of Ann-Margret since the tender age of seven. Seeing Ann-Margret’s performance in “Viva Las Vegas” was enough to mesmerize her , and the rest is history. With the inspiration of Ann-Margret, she grew up performing in theater, performance groups, commercials, and film. 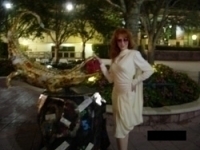 After a chain of serendipitous events, she was asked to perform a tribute to Ann-Margret as a Ann Margret Celebrity Look Alike- Lookalike Impersonator Tribute Artist and that began the current path she dances. Her career has taken her to Tennessee, Pennsylvania, Georgia, Illinois, Indiana, and Canada; not to mention her many appearances throughout Ohio. 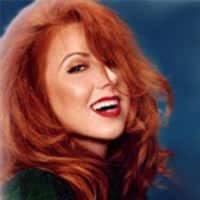 Her goal is to showcase the wonderful talents of the incredible Ann-Margret as a Ann Margret Celebrity Look Alike- Lookalike Impersonator Tribute Artist and educate her own audiences about her idol. 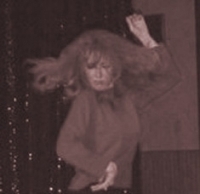 She always puts her respect for Ann-Margret above all and performs a true tribute to Ann-Margret in all ways. She continues to strive for the ultimate accuracy in her portrayal through authentic costumes, choreography and vocal technique. Ann-Margret is often imitated, but never duplicated and she always assures her audience of that. Her goal is to entertain her audiences and have them walk away with a sense of what it was like to see Ann-Margret perform live in the 1960’s. She also provides them with current information as to when and where they can go see Ann-Margret perform live today.